Hawaiian Airlines will launch their Honolulu-Boston route today. As the longest domestic flight in the US, it’s a fair old journey, but offers Boston residents an easier way to connect with the islands as the first nonstop flight from the area. Boston residents have a reason to be happy today, as they’re about to welcome the first ever direct flight from Honolulu, Hawaii. The Hawaiian Airlines flight, although departing Honolulu today, will arrive early Friday morning, ready to take off again just in time for a weekend in the sun. The departure of flight HA90 is scheduled to leave from Honolulu (HNL) at 13:55 local time. It will arrive in Boston’s Logan airport (BOS) at 5:50am tomorrow, completing the first leg of its mega transnational flight. The return flight, HA89, will take off at 8:10am from Boston, arriving back in Honolulu at 13:35. The flight clocks in at almost 5,100 miles in each direction, making it the longest domestic flight in the US. This supersedes the current record holder, also Hawaiian Airlines, with their HNL-JFK service. Operating five times a week, it will provide a much needed direct connection between the East Coast and Hawaii, making it easier than ever for New England residents to enjoy a tropical vacation. In terms of flight times, the outward flight from Honolulu is blocked at around 10 hours and 15 minutes, with the return from Boston clocking in at 11 hours and 40 minutes. 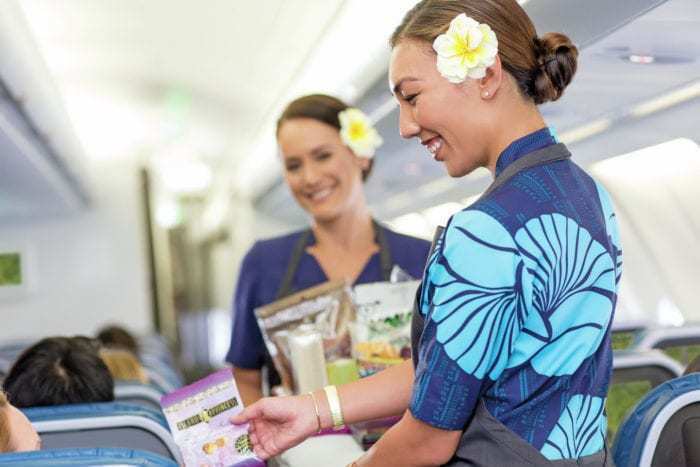 With the launch of this route, it’s clear that Hawaiian are keen to take matters into their own hands to stay a step ahead of the competition. 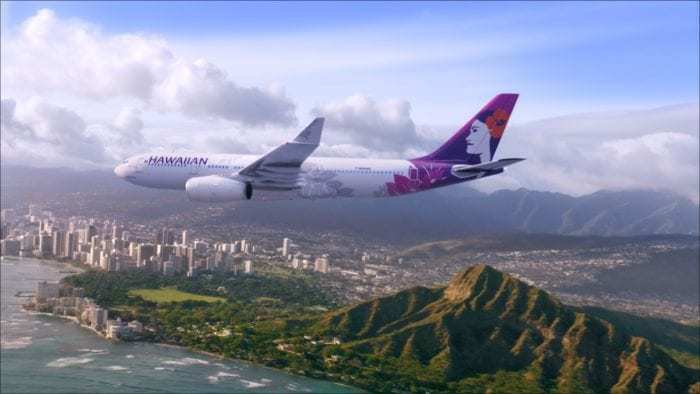 What can we expect from Hawaiian Airlines new Honolulu – Boston service? The flight will be exclusively operated by Hawaiian Airlines’ Airbus A330. 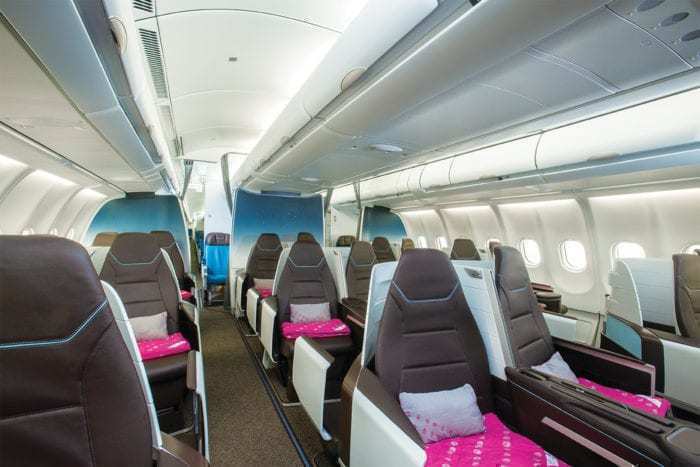 This aircraft seats a total of 278 passengers in a two class configuration. In the economy cabin, laid out in a 2-4-2 arrangement, the 192 standard seats offer a generous 31 inches of pitch and between 16.5 and 18 inches of width. In addition to these, there are 68 ‘extra comfort’ seats, which offer additional leg room to the tune of 36 inches. Up at the pointy end, there are 18 lie flat first class seats. The pitch on these is 45 to 46 inches, and the arrangement is a comfortable 2-2-2 configuration. Everyone gets a personal LCD touch screen, and snacks, meals and drinks are included as standard. Of course, you get that inimitable Hawaiian service and attention throughout the flight, to help those 10 hours pass by in a flash. Hawaiian is a partner with JetBlue, so travelers can use their TrueBlue points to get an upgrade or pay for their flights. They are also transfer partners of American Express Membership Rewards, so that’s another option if you’re looking to drive down the price. 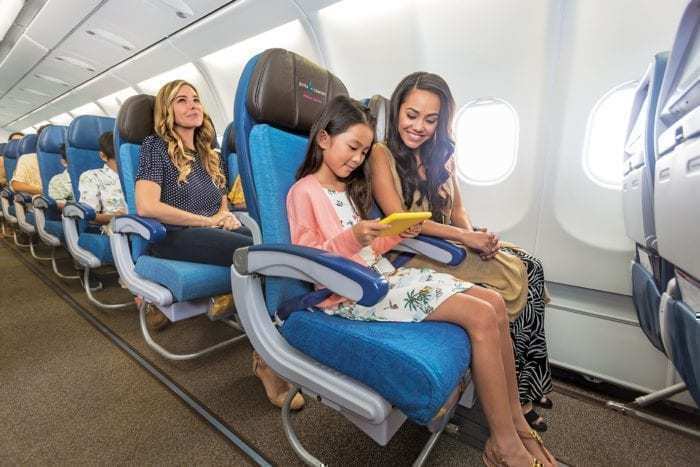 What do you think about the new Hawaiian Airlines service? Let us know if you’re planning to fly!